Most of us know how important it is to see our doctor and dentist each year. Maybe you are even one of those people who schedule a teeth cleaning every six months. Just as it is critical for you to see your family physician and dentist each year, you should also be visiting your eye doctor annually. Unfortunately, many people neglect the health of their eyes. They assume that since they can basically see alright, they don’t need to schedule a visit to the eye doctor. However, booking an annual visit to your eye doctor in Alexandria will provide you with an array of benefits. 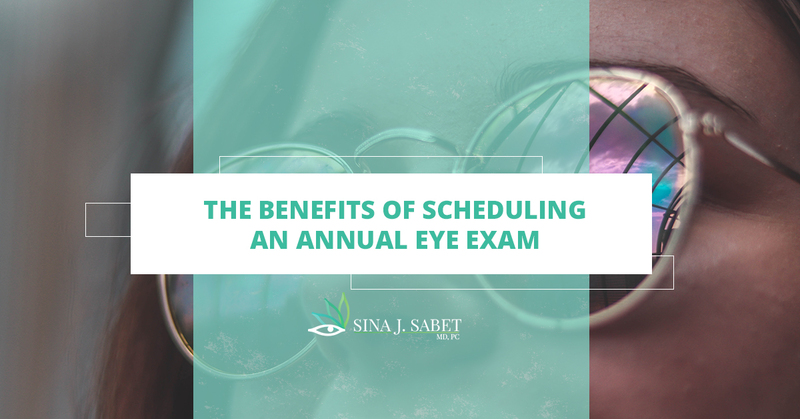 Check out these top reasons why you should book an annual eye exam today even if you have great vision. One of the number one reasons that people neglect their annual eye exam is because they feel like their vision is perfectly fine. Perhaps you do have excellent vision and you have no need for corrective lenses. However, eye exams will unearth any potential issues before they become a full-blown problem. Through a comprehensive eye exam — not just a simple screening — your eye doctor will be able to detect even the smallest issue or sign of trouble ahead. Not only can this ensure that your eyes themselves are healthy, but it will also contribute to your overall health. In many cases, issues with your eyes can be a sign of a bigger problem. Your eye doctor will be able to help detect eye symptoms that might be due to diabetes, hypertension, thyroid disease, autoimmune disorders, tumors, and even cancer. The earlier you can catch these kinds of health risks, the better. Booking your annual eye exam can provide an extra layer of safety for your body’s health. Seeing your eye doctor will do more than just provide you with a synopsis on your health. Visiting your eye doctor will also allow you to receive expert advice and resources related to eye care. This will equip you to take the best care possible of your eyes. 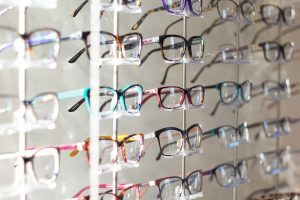 While you might be able to find some good advice online or even from your family physician, an eye doctor is trained in the latest and best eye care knowledge. When you schedule an eye exam, make sure you put together a list of any questions you have about your eyes. Want to know what foods you should be eating to improve your eye health? You can ask your eye doctor. Wondering if you are going to fall prey to the same eye deterioration as your parents did? Talk to your eye doctor about it. Your ophthalmologist will be able to provide you with accurate information that can alleviate fears and set you up for long-term eye health. If you do wear corrective lenses of any kind, it is important for you to keep those prescriptions up to date. For those who wear glasses or contacts, it is wise to see your eye doctor twice a year. This ensures that you are utilizing the right prescription for your specific vision needs. As time goes by, your prescription won’t stay the same. In many cases, your vision will continue to deteriorate as you age. For this reason, it is vital that you see your eye doctor frequently to check back in. They can easily tweak your prescription to ensure that you are seeing clearly. Do you suffer from dry eye? Are you worried about a new spot on your eye that wasn’t there before? Whatever symptoms or ailments you suffer from visually, an annual eye exam will allow you to tackle the problem and find relief. For example, your eye doctor can prescribe special eye drops for dry eye that offer incredible relief from pain. Are you ready to see an eye doctor in Alexandria? Book your annual eye exam today and learn more about how you can best take care of your eyes for long-term health and clear vision.